Digital marketing in the right way may be compared to finding the keys of your house. Many times it so happens that you don’t find the key although you had carefully kept it in your coat pockets. Similarly, your business website’s landing page sometimes won’t be convincing enough to increase the conversion rates. The key to increase the conversion rate is right there in your website only when you remember the below stated basic principles. These are effective and experimented methods that support successful landing page designs. Although the main aim of building a website is to increase sales, the right calls to action are sometimes missed to be placed at the right places. You cannot expect the visitors to browse pages or even scroll a length of the landing page to find the required call to action. They will have reached your website for a specific purpose and your website should serve the purpose as quickly as possible without wasting much of their time. There are websites that collect customer information as part of the transaction. It is required to know about the customer but how much details need to be collected should be analyzed. If the client is filling your form, you already know he is your potential customer. The next aim should be to retain him and not to create a barrier of lengthy forms that takes him away from the required call to action. The best trade off will be to have a maximum of five fields including name, email ID, phone number, and save the other two fields for business-specific data. You may have to ask customers if they are willing to receive promotional emails or you may want to ask their home address if you have to deliver goods. You need to eliminate all the unwanted detailing or popups that talk about your business. It is not the right time to communicate about your business when the clients are about to place orders. So, include the information in apt places. Search Engine Optimization is a must for your website’s landing page. Considering the paid search engines, the keywords play an important role in getting a top place for your website. Only when your website appears on the top of search results, you can expect the visitors’ percentage to increase. For instance say your website has a title for the landing page as “Psd to html conversion services” and the search results for “psd to html” and “psd to html conversion” will feature your website. 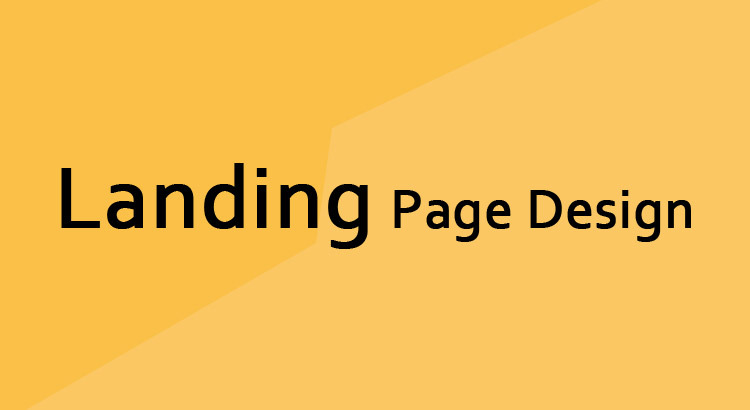 So carefully choose a landing page that can impress the customers and lead to business. Today’s eCommerce intrinsically means it also supports mobile commerce. It is obvious that your website should be compatible with mobile devices. The landing page should have the calls to action that are highlighted for the mobile version as well. It is seen that almost 40% of the customers wish to do online shopping through mobile devices. Make sure you have a powerful marketing copy that is bang on target explaining your business. The description of your business should be compelling but it should not be too lengthy or written with too many jargons that cannot be easily understood by the clients. It should be short and simple but at the same time it should be convincing and appealing. You can probably experiment with a few write ups and decide on the best of them.